Ooh breakfast is going off here!! Tasting like a decadent dessert but jam packed with protein and flavour from Time 4 Nutrition, you need this in your life!! 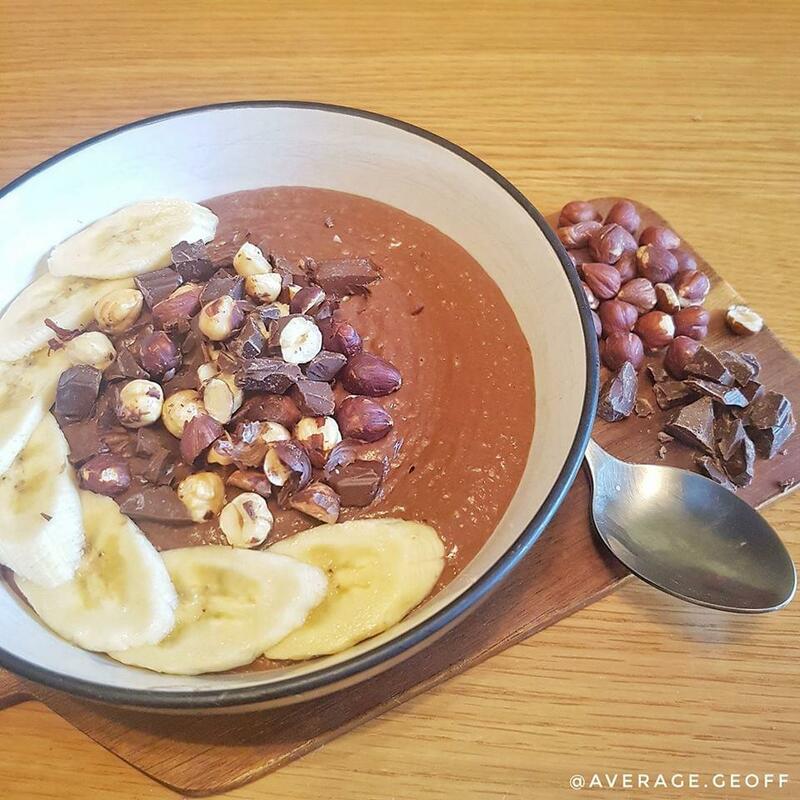 Get everything apart from the Chocolate, half the Hazelnuts and one half a Banana in a bowl and blitz until super smooth. Add the rest of the Banana, Hazelnuts and Chocolate and get stuck in. You can warm this up if you like but I'd suggest doing this before you add the protein and then re-mixing.